Finally the long rumored Nikon D4s announced today the camera features newly developed 16.2 megapixel full-frame (FX) CMOS sensor, the ISO native ISO range of the image sensor is 100-25600 and expandable upto 50-409600, achieving the ISO 409600 is complete breakthrough from Nikon and the Nikon D4s undoubtedly becomes the low-light king of camera industry. RAW SIZES introduced in Nikon D4s DSLR, so you can now down-sample Raw files (probably, no more details available) and as usual DX mode is available for RAW and JPEG shooting with approx 1.5X crop factor. The image processor used in Nikon D4s camera is Nikon EXPEED 4, the Nikon EXPEED 4 image processor is approx 30% faster than the previous generation of EXPEED 3 image processor used in the Nikon D4 DSLR, with the help of new image processor the camera can now capture 11fps of continuous shots with fulltime AF upto 200 JPEG and when you are working on RAW format the 14-bit RAW shooting mode, up to 104 shots can be recorded at 11 fps. The AF engine is same here 51-Point Advanced Multi-CAM 3500FX AF Sensor, but due the advance image processor used + New AF algorithms supports 30% increase in AF speed compared to the Nikon D4 DSLR. Nikon D4s can record Full HD videos 60fps frame rate, Nikon D4s supports FX and DX format lenses and also 2.7X crop factor. Nikon D4s can also record 2MP of still shot while recording videos. No built in WiFi and NFC, users should use WT-5A and WT-4A Wireless Transmitters for optional WiFi transfer. TOKYO – Nikon Corporation is pleased to announce the release of the D4S, its latest flagship FX-format digital SLR camera. The new EXPEED 4 image-processing engine, a new Nikon FX-format CMOS image sensor, and an effective pixel count of 16.2-million pixels enable capture of images that exhibit stunning sharpness, enhanced depth, and natural skin tones. A range of standard sensitivities from ISO 100 to ISO 25600 achieves images exhibiting sharper edges and smoother, more beautiful colors. The D4S also supports extended sensitivities as low as the equivalent of ISO 50 and as high as the equivalent of ISO 409600. What’s more, the accuracy of auto white balance has been increased for clear color reproduction, even with shooting under difficult artificial lighting. Nikon’s flagship D4 camera, released in February 2012, expanded possibilities for photographic expression for professional photographers primarily in the fields of sports, press, and nature photography. The D4 offered a number of features that not only responded to the demands of professional photographers, but also enabled capture of images of decisive moments that moved those who saw the images. Among these were excellent performance over a broad range of sensitivities for superior image quality under difficult lighting conditions, fast and accurate AF capable of capturing the intended subject, the Advanced Scene Recognition System, which provided more advanced automatic control that allowed photographers to concentrate more fully on shooting itself, and support for the superior rendering characteristics of NIKKOR lenses developed with optical technologies only Nikon can offer. Moreover, the D4 also contributed to cultivating new possibilities for imaging expression with the ability to express shallow depths of field and maximize the characteristics of excellent performance at high sensitivities with movie recording. Developed as the next-generation flagship successor to the D4, D4S functions, features, and performance were thoroughly examined and analyzed from a variety of angles, resulting in a digital SLR camera that responds more completely to the demands of professional photographers. With this background, the D4S was developed to embody Nikon’s response to the demands of professional photographers, upon which we place great importance, with functions and performance that support shooting in even the most difficult environments, and are able to respond to a variety of subjects and situations, as well as various lighting conditions. Reflection of ideas from professional photographers and repeated simulation of various advanced techniques they often use has resulted in the very precise subject acquisition and tracking performance that these photographers require, and upon which they can rely, under the most extreme conditions. Very precise adjustment of AF algorithms based on the Advanced Multi-CAM 3500FX autofocus sensor module enables certain acquisition of even erratically moving subjects and those exhibiting little in the way of contrast. D4S autofocus performs even better, keeping the acquired subject in focus, even when it is coming closer, or moving away, at high speed. What’s more, the D4S offers better balanced AF control with more precise focusing on the intended subject, and more accurate tracking of that subject, even when photographing team sports, such as soccer and rugby, when action may temporarily obstruct the intended subject. The shape of the grip has been optimized to make holding the camera more comfortable, even for those with small hands. What’s more, thorough examination of the shape of the rear of the camera, and design and materials used for the sub-selector have resulted in a camera that offers a better hold and more reliable operation. Full HD 1080p at 30 fps is supported by the Stylus 1, other features include Built-in Wi-Fi Connectivity, Hybrid Control Ring enables zooming, manual focus and adjustment of aperture, shutter speed and more manually. Olympus Imaging Corporation (President: Haruo Ogawa) is pleased to announce the upcoming release of the OLYMPUS STYLUS 1, scheduled to go on sale in late November 2013. This model boasts an optical 10.7x (28-300mm*1), constant aperture f2.8, large-diameter, high-performance iZUIKO DIGITAL lens, and offer the DSLR-level image quality and functionality into a compact, slim camera body. An optical 10.7x (28-300mm*1), constant aperture f2.8 i.ZUIKO DIGITAL zoom lens packed into a compact, slim body. Equipped with a built-in large-size, high-image quality, high-resolution EVF for checking versatile shooting conditions. *2 Wi-Fi is a registered trademark of Wi-Fi Alliance. The compact digital camera market is currently shrinking across the world, however, among these conditions, models with a large-format imaging sensor, bright lens, premium high image quality and performance, and models with a high magnification which cover a wide range of shooting conditions, remain their popularity. Since announcing the XZ-1 in January 2011, Olympus has released the STYLUS-XZ-2 and the STYLUS XZ-10 equipped with i.ZUIKO DIGITAL lenses that feature excellent image quality and brightness to the telephoto end, resulted in leading the high-performance model market. All-in-one cameras that support various scenes with powerful zooms have also proved to be popular among families for shooting vacations and children’s events. However, up to now it has been difficult to create a model with a powerful zoom lens that effectively balanced the size, excellent image quality, and brightness at all focal lengths. The new OLYMPUS STYLUS 1 is equipped with a newly-developed powerful i.ZUIKO DIGITAL lens that features a compact size, excellent image quality, and brightness at all focal lengths. Many powerful zoom models face the problem of subject blur that occurs in telephoto shooting in dark locations. This revolutionary lens significantly reduces subject blur without degrading image quality. The STYLUS 1 is the flagship model of the STYLUS series, achieving excellent image quality and a high zoom factor through the fusion of an i.ZUIKO DIGITAL lens, and the shooting style of the Olympus Mirrorless Interchangeable-Lens flagship model, the OM-D. The best functions from larger, heavier, and more expensive DSLR cameras with the similar specs have been packed into a compact, slim body. i.ZUIKO DIGITAL lens of the STYLUS 1 covers a focal distance of 28 to 300mm at 10.7x (35mm equivalent), with a rarely-seen, bright constant aperture f2.8. The brightness of the lens is available at all focal lengths, and promises excellent image quality and defocusing effects from macro shooting to telephoto shooting, with performance that departs from traditional compact cameras. Also, all types of aberrations that occur in powerful zoom cameras are almost perfectly corrected at all focal lengths. This camera is equipped with a large-size electronic viewfinder (EVF) with the largest magnification factor in class for a compact camera that is equal in quality to the Mirrorless Interchangeable-Lens camera, OM-D, where users can watch varied shooting conditions change in real time in the viewfinder. Stable shooting style while looking into the EVF, full-featured performance, and design that extends to every detail of the slim body make authentic, OM-D-inherited shooting possible. When the automatic opening lens cap is attached, the time from turning the power on to shooting is shortened, and because only the faintest sound from the lens shutter can be heard, the STYLUS 1 delivers a new experience in quiet shooting. We also focused on the controls of STYLUS 1. In addition to using the Hybrid Control Ring made popular on the STYLUS XZ-2, the zoom lever and customization of all buttons ensure that users never miss a photo opportunity, for authentic shooting that is equal to DSLR cameras. The STYLUS 1 is the flagship model of the STYLUS series, packing DSLR-level excellent image quality, powerful magnification, superior functions, and a wide shooting range into a compact body for an authentic shooting experience that anyone can easily enjoy – from beginners to advanced users. This 10.7x zoom lens boasts a maximum aperture value of f2.8 that is bright in all focal length, and covers from 28 to 300mm (35mm equivalent). In particular, the beautiful defocusing effects produced by the f2.8 at a 300mm equivalent telephoto setting overturns conventional wisdom about compact cameras, making it possible to capture photos where subjects seem to float off the image. Additionally, the brightness of the lens makes it possible to lower the ISO speed, which is beneficial to image quality. Because the aperture value is fixed to f2.8 even when zooming, control of exposure in Aperture priority (A) mode is easy. Also, because the shutter speed can be increased, subject blur that tends to occur in dim-lit shooting scenes can be reduced. The brightness across all focal length, and fixed large aperture make this a masterpiece of a lens, fulfilling the highest demands for professionals in a zoom lens. i.ZUIKO DIGITAL lens of the STYLUS 1 was developed based on the DSLR interchangeable ZUIKO DIGITAL lens series, for sharp, next-generation depictive performance from the center to the edges of the image. Olympus molding technology cultivated with DSLR interchangeable lenses was freely used to create a DSA (Dual Super Aspherical) lens for use as an aspherical element in the lens group. A total of 9 aspherical lenses are used in the 12 element, 10 group lens construction. This construction not only effectively compensates for all types of aberration in all zoom range, but allows the lens barrel to be stored in the 52mm deep body when retracted. In order to remove ghosts and flaring, the Olympus-original ZERO (Zuiko Extra-low Reflection Optical) coating was applied to the surface of the lens. These measures ensure highly clear depictive performance, even in backlit or other unfavorable shooting conditions. At a 300mm equivalent telephoto setting the minimum shooting distance from the end of the lens is 80cm, making tele-macro defocusing effects possible. With Super Macro, close-up shooting from 5cm away from the end of the lens is available. Lens shift-type image stabilization is used on the STYLUS 1. This method enables a compact camera construction, and reduces camera shake that tends to occur at telephoto settings or when shooting in dark locations. A removable lens cap that automatically opens when the power is turned on is supplied with the camera so that users can rest easy, knowing that they will always be able to capture the moment. 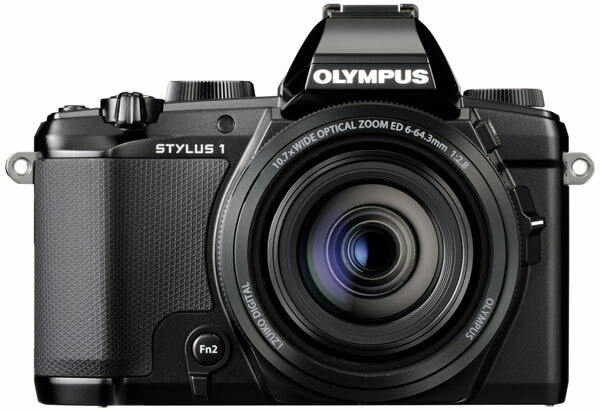 The STYLUS 1 is equipped with a built-in EVF equal to the Olympus Mirrorless interchangeable lens camera, OM-D E-M5. The beauty of the 1.44 million dots, high-resolution LCD is without compare when measured against previous compact digital cameras or home-use camcorders. With field coverage of 100%, it outperforms field coverage of entry-level DSLR cameras. With clear visibility from the center to the edges, users can check the exposure, color, and focus peaks before shooting. Viewfinder shooting is stress free, thanks to the fast response and short display time lag. 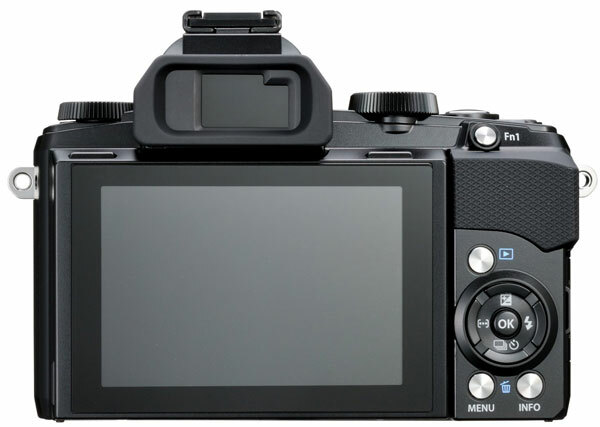 Also, with the eye sensor function, simply looking into the viewfinder automatically switches the display from the rear monitor to the viewfinder. The eye sensor is automatically turned off when the rear monitor is tilted or the playback menu is being used to prevent misoperation and improve usability. This feature raises the brightness of backlight when shooting in bright outdoor conditions, and lowers the brightness in dark indoor conditions, reducing visual errors from light and dark adaptation of the eye. The backlight brightness is automatically adjusted in accordance with ambient light to maintain the proper brightness providing a natural appearance that is close to that of optical viewfinders (OVF). This feature provides functions unavailable on optical viewfinders, and is useful for checking the electronic level gauge while looking at subject (previous display and 3D display), as well as displaying highlights and shadows for finishing photos with a touch of distortion or just the right exposure. As the flagship of the STYLUS brand, the STYLUS 1 neither function nor design were compromised, with attention down to the smallest details. The excellent control and stability of OM-D-inherited shooting style provides ease of use as a DSLR sub model. The highly-stable grip, even when shooting at a 300mm*1 equivalent, lets users firmly hold the camera for long periods of time without tiring. The entire control scheme is designed around the right grip hand, including the zoom lever and Hybrid Control Ring so that a stable DSLR shooting style is possible while looking through the electronic viewfinder. A compact, slim body design was achieved with a pentaprism silhouette while including a viewfinder and built-in flash. When an interchangeable lens with an equivalent focal length of 28 to 300mm is attached to a DSLR or Mirrorless interchangeable-lens camera, they become large and heavy, but the STYLUS 1 achieves the similar outstanding performance in a compact, slim body design. This camera can be carried around in a bag for easy and fun shooting with the authentic operation of a DSLR sub model. The camera has a premium black finish. The STYLUS 1 maintains its comfortable controls while providing customization to match users’ shooting style for an intuitive approach to shooting exactly as photos are envisioned. This model is equipped with the STYLUS XZ-2’s popular Hybrid Control Ring. Because frequently used functions can be assigned to the Hybrid Control Ring, settings such as the aperture value or exposure compensation can be quickly adjusted with a twist of the ring, letting users capture images exactly the way they want without missing a chance of shooting. Using the Control Lever located next to the lens, two control types (analog and digital) can be switched immediately. The subdial which can be controlled with the thumb of the right hand is equipped for the first time on an Olympus compact digital camera. This feature lets users grip the camera with their right hand and change all pre-assigned settings with minimal movement. In combination with the Control Ring, numerous settings can be changed quickly. On compact digital cameras, the zoom lever is normally located on the top of the camera. In addition to the usual location, the STYLUS 1 includes a zoom lever on the left hand side of the lens. With this innovation, the camera can be supported with the left hand for DSLR-style zoom operations, allowing users to focus on the release button with the right index finger so that photo opportunities are never missed. The left hand zoom lever can also be used to adjust the zoom slowly for fine adjustments when composing a shot. Users can assign frequently used functions to the Fn1 button and movie button for quick activation. Also, each time the Fn2 button is pressed, multiple functions can be switched, and when the function is activated it can be set to the Hybrid Control Ring or Sub-dial to be used. Two different custom modes are available on the mode dial. Users’ favorite pre-assigned settings can be activated simply by turning the dial. The STYLUS 1 is equipped with a built-in Wi-Fi function which enables easy connection to a smartphone simply by touching the Wi-Fi icon. The OLYMPUS Image Share (OI.Share)*3 smartphone app can be used to easily send images to a smartphone. With the OI.Share remote control function, the camera’s Live View screen can be viewed on a smartphone while remote shooting in P, A, S, M, and iAUTO modes for smooth operations and zoom operations is also available. By touching the Live View screen that appears on the smartphone AF points can be specified and the shutter can be activated with the same controls as on the camera. Also, users need only to transfer highly-precise GPS logs obtained with OI.Share to the camera to easily add geotags (location information) to images taken with the camera. Using OI.Share’s simple connection function, troublesome initial settings can be easily completed simply by scanning the QR code that appears on the camera screen. iHS stands for “intelligence”, “high-speed”, and “high-sensitivity”. With the combination of a 1/1.7 type, 12.0 megapixel*4, back-lit CMOS sensor (BSI CMOS sensor), and the TruePic image processor designed for the OLYMPUS PEN, focusing speed is improved, and users will always be able to capture the subject they want, beautifully, and without missing. Additionally, the STYLUS 1 inherits FAST AF from the OLYMPUS PEN series and Touch AF Shutter allows users to instantly shoot exactly the way they want by simply touching the screen, regardless of the subject’s position. The STYLUS 1 includes an advanced version of PHOTO STORY, made popular on the STYLUS XZ-10. Shoot and select moments from various viewpoint by simply touching on the Live View screen. It offers 2 themes; “Standard” which has a variation of choices including patterns, effects, aspect ratios, and the number of images, and “Fun Frames” with three variations of stylish shot. With these features, everyday life will become memorable scenes with varied personalities. The 11 Art Filters and 5 Art Effects*5 will fuel the spark of imagination so that users can create more stand-out pictures that match their imaginations exactly. Art Filter effects are available for still images, but they can also be used when shooting Full HD movies for greater freedom of expression and enjoyment. Art Filter Bracketing can help out users who have trouble deciding on which Filter to use by automatically applying multiple Art Filters and playing the images back in a slide show. This feature turns mediocre scenes into a virtual kaleidoscope of enjoyment, providing new discoveries in everyday scenery through unexpected filter effects. Additionally, Art Filter Bracketing can be applied when editing RAW images. By enlarging 2x in the center of image, digital tele-converter function can be used. By applying this function to the Fn button, this function can be used by simply touching the button. With the superior performance of TruePic image processor, it enables to shoot up to 600mm F2.8*1 while retaining excellent image quality. With the tele-converter lens TCON-17X, it can shoot up to approx. 1020mm F2.8*1. Maximum recording time Full HD: approx. 29 min., HD: approx. 29 min., HS: 20 sec. 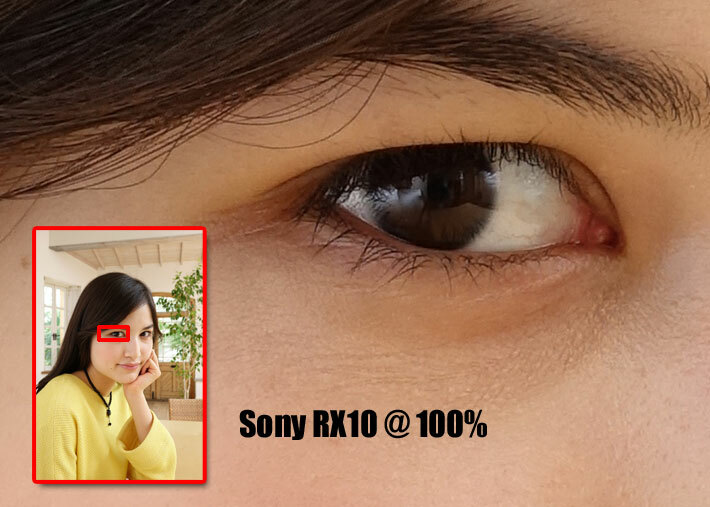 Sony RX10 Sample images and videos are now available all over the web, the RX10 features Sony RX100 M2 one inch sensor and newly developed Bionz X image processor and Carl Zeiss 24-200mm f/2.8 Lens (35mm Eq). Sony A7 and A7r Sample Images are now available, Sony A7r have no built in low-pass filter and features a week AF system + a megapixel monster sensor and on the other hand Sony A7 features advance hybrid AF system that combines 117 Phase AF points + 35 Contrast detect AF points, a (low resolution) 24 Megapixel FF sensor. Now what it look like is Sony A7r is made for architecture and studiographers, where they have more control over the light and less need of Fast AF system. 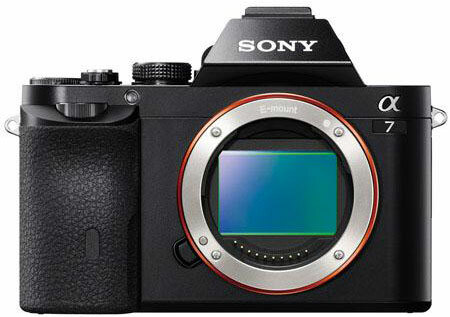 Sony A7 construction is totally different, it have low-pass filter, 24 MP sensor and advance AF system suitable for everyone else. Hybrid auto focus = speedy phase-detection + accurate contrast-detection AF, Sony also implemented a new Spatial Object Detection algorithm in A7 and A7r, + you also get Eye AF control – the viewfinder sync with your eye pupil to do AF, 2.4M-Dot OLED Electronic Viewfinder with New Eye AF Control, the A7r also features 3.0″ Tiltable TFT LCD with 1,229K-Dots. A game-changing blend of imaging power and portability, the α7R from Sony sets an exciting new benchmark in digital imaging. This mirrorless camera redefines the creative options of full-frame photography in a palm-sized interchangeable lens camera. The α7R and new α7 provide a limitless array of new artistic possibilities for serious photographers. Expanding the range of optics from Sony and Carl Zeiss, sixiv new full-frame lenses complement the cameras’ superlative image quality – whether you’re shooting detail-packed stills or crisp, cinematic Full HD video. Beautifully styled and easy to hold on lengthy assignments, the α7R is a no-compromise photographic tool that puts the needs of advanced users first. Front and back dials plus a control wheel and exposure compensation dial allow intuitive adjustments while framing shots through the high-contrast, high resolution XGA OLED Tru-Finder or on the tiltable 3.0-type LCD screen. The 35mm full-frame Exmor CMOS sensor incorporates light concentration and photo diode expansion technologies and also features a new ‘gapless’ on-chip lens design which eliminates gaps between adjacent pixels. These advances increase light collection efficiency, achieving outstanding resolution, sensitivity and low noise while circumventing the challenge of decreased pixel size due to the extremely high pixel count. Together with the powerful new BIONZ X processor, the full-frame sensor also allows the α7R to shoot pro-quality Full HD videov. You’ll enjoy rich, beautifully rendered movie footage with sumptuous colours and ultra-low noise, even in low light. Clear Image Zoom has been enhanced for video recording, delivering powerful close-ups without sacrificing pixel count. Pro-style movie features include an audio recording level control and display, plus a ‘clean’ HDMI output that allows video to be viewed on an external monitor or recorded on another device. High-resolution still images can be displayed directly on a 4K television that offers four times the detail of Full HD. Support for TRILUMINOS Colour delivers a stunning palette of rich, natural colours when viewing movies and photos captured with the α7R on a compatible BRAVIA television with TRILUMINOS Display. With both Wi-Fi with NFC, the α7R offers effortless one-touch wireless connections with your Xperia™ or NFC-compatible Android smartphone or tablet. PlayMemories Camera Apps further enhance your photo experience with a growing range of free and paid apps, spanning exciting new creative effects and filters, utilities and more. With a tough magnesium alloy body that is dust- and moisture-resistant, the α7R weighs in at just 407g (body only) as the world’s smallest, lightest interchangeable lens camera with a full-frame sensor. Appealing equally to busy photo professionals and advanced amateurs, it also boasts the highest image quality of any α camera to date. The brand-new 36.4-effective megapixel (approx.) 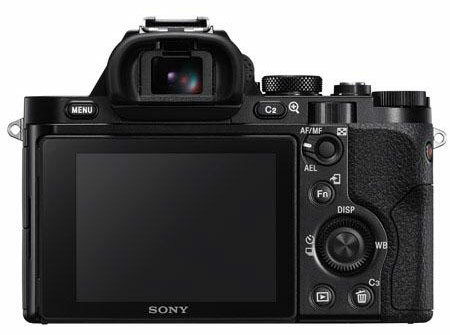 full-frame Exmor CMOS sensor delivers levels of detail unprecedented in any camera of its class. The high resolution sensor of the α7R has no optical low-pass filter, ensuring that its extraordinary resolving power is fully exploited. It’s complemented by a new BIONZ X processor – Sony’s latest-generation imaging engine that maximises detail and reduces image noise over a wide ISO 100-25600 sensitivity range (NB: expandable down to ISO 50 and up to ISO 51,200 with Multi-Frame Noise Reduction). There’s a choice of five new full-frame E-mount lenses to realise the sheer imaging power of the α7R. The E-mount full-frame family includes two mid-range zooms by Sony and Carl Zeiss, two bright Sonnar T* primes and a premium-quality G lens telephoto zoom. There’s also a new-generation mount adaptor that gives photographers extra freedom to re-use their precious collection of full-frame A-mount optics with both cameras, including the newly-announced SAL70200G2 70-200mm F2.8 G SSM II telephoto zoom. New accessories will also be available for the α7R. The VG-C1EM grip extends shooting stamina via two NP-FW50 batteries, as well as providing greater user comfort during vertical shooting. The BC-TRW Battery Charger gives visual LED confirmation of recharging status. The FA-CS1M off-camera shoe can be used as an off-camera cable by connecting with a Multi Flash Cable. The LCS-ELCA premium leather soft carrying case extends the premium quality experience of handling and using the α7R while protecting your camera from scuffs and marks whilst being carried.